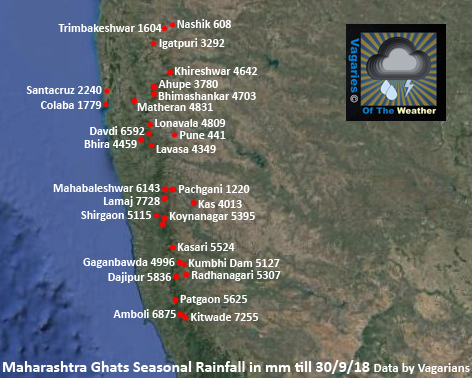 Poor Sept Rainfall creates some record. 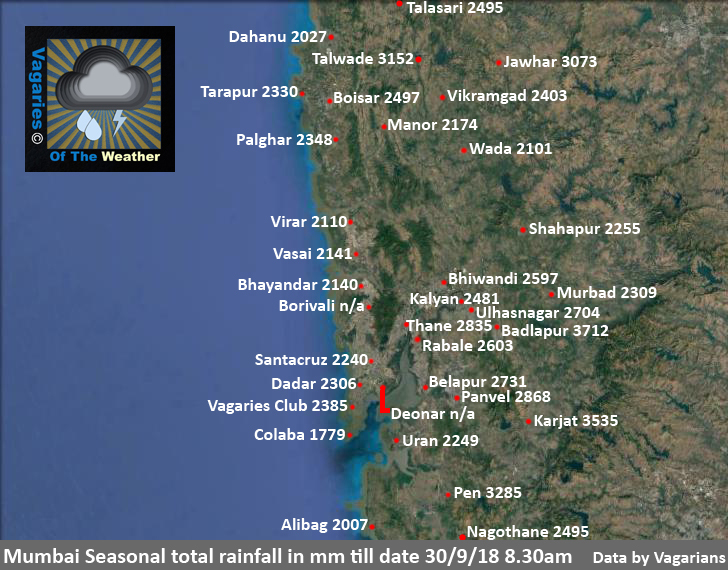 Dahanu has broken it's all time record of driest September ever, as Dahanu in Sep 2018 has recorded mere 20.8 mms rainfall in whole month! With this broken Sep month ATR of 25.4 mms which was recorded in year 1952! So new driest record is set after 66 yrs. Mumbai witnessed 4th driest September this year! 1. 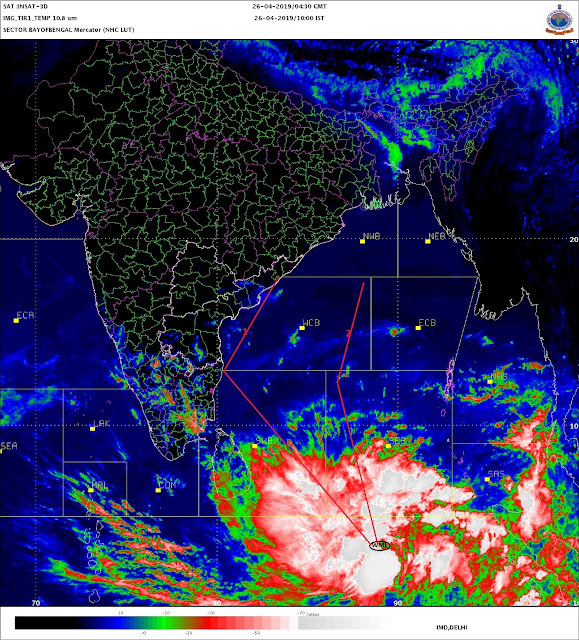 In 1987, SCZ saw driest Sep ever with mere 35 mms!! 4. And now current 2018 saw 73.1 mms! 1. 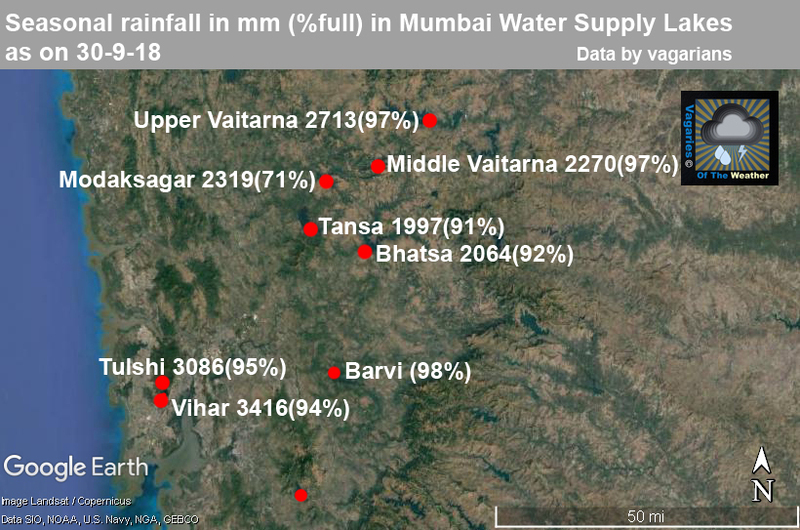 In 1987, Colaba saw driest Sep ever with mere 34 mms!! 4. And now current 2018 saw 59.5 mms! Nice compilation Abhijit . This swm will be remembered for uneventful september. Tejas nice work preparing maps thorughput the entire season. Select Daily RF series drop down menu all india. SWM cumulative departure seasonal rainfall minus -9.4% all over india. 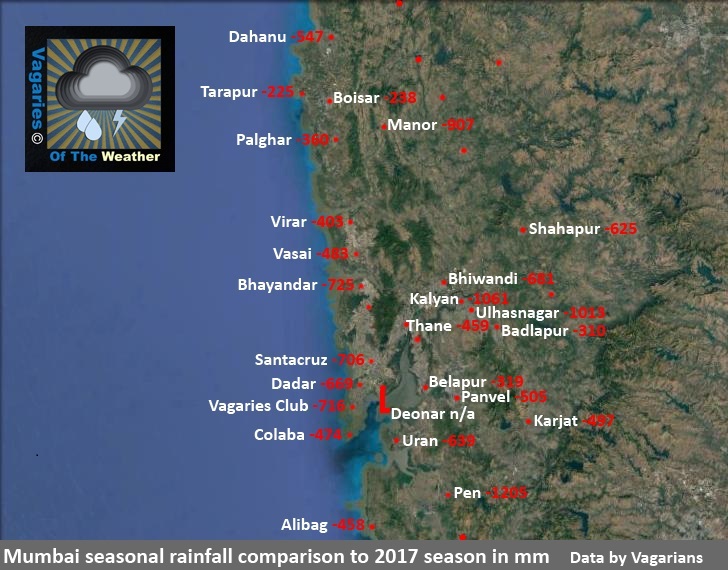 Recorded 804 mm against 887.5 mm (51-2000) seasonal rainfall.